The only thing that we can rely on to be constant is change. The political environment is forcing rapid change like we've never seen before. No question that technology continues to evolve in a way that forces us to embrace it or simply get left behind. Demographics are changing with a record number of Boomers who are set to retire in the next few years, causing anxiety for many about who may be their future leader. A change in leadership brings with it, a distinct change in style. Everyone is unique with their own personality type that impacts inter-office relationship dynamics, how departments operate, as well as how the organization goes to market. There are differences in tastes, motivators, expectations of employees, and even what one views as success or failure. These changes in styles and leadership are going to become more abundant as newer generations develop and move into leadership roles in the workplace. For example, as a multi-unit franchisee, if your franchisor makes a major change in leadership, have you considered how this will impact you and your business interests? As the franchisee, you work under the guidelines and policies of your franchisor. If there is a change at that level, you have to prepare for how this is going to impact you and your organization. Consider our current political environment as a great example. Like it or not, we are seeing drastic and dramatic change in a very short time frame following a newly elected president. Regardless of your political affiliation, one thing is apparent with the change of our country's president: the types of decisions being made, and the swift way they are being decided. Correlate this directly to your business and potential transitions in leadership-in every key position of your organization. Is your business prepared? The only guaranteed way to be prepared for a change in leadership that doesn't create culture shock is through forethought and planning. 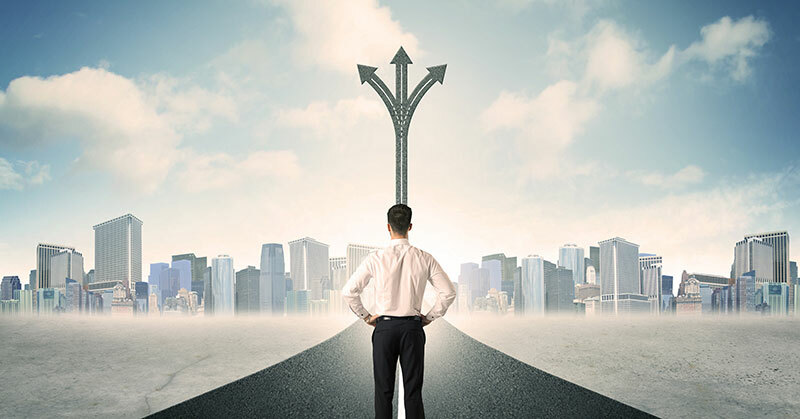 You may not be able to predict the future or know immediately the impacts change in leadership will have on your multi-unit franchisee business, however, you will be better prepared to navigate change as it comes. Setting a clear goal for your financial future, as well as the future of your multi-unit organization is a great way to prepare your business for any unexpected changes. This may include defining what a leadership transition plan looks like for every key position in your organization. It is important to outline the critical behaviors, attitudes, skills, knowledge, and experience that are essential to developing bench strength within your organization. It could also mean diversifying your franchise portfolio in order to ride the wave of change. It could involve a variety of other options, and therefore planning for your future is essential as any road can take you somewhere. You want to be on the road that takes you where you want to go, so set a goal, and be prepared for the never-ending and constant world of change.